Designed by our experts and tested in the harshest environment the Tilt bucket is the ultimate attachment for shaping and finishing work. 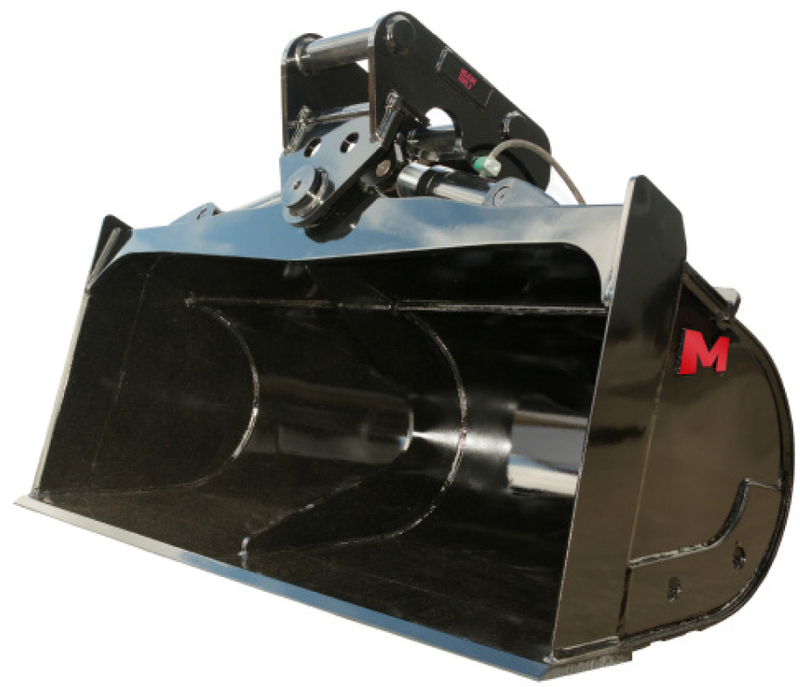 All our tilt buckets are twin cylinder making them strong, firm and powerful. The cylinders are single acting displacement type. This means there are fewer seals and moving parts. The ram spears are Induction hardened so they can withstand impact and wear with damage. The tilt buckets only require a total of 2 hydraulic hoses. The shape of these buckets is brilliant for drain cleaning. The large hydraulic cylinders will allow you to tilt the bucket to 45 degree’s each way and when you remove it from the machine it will sit on the floor of the bucket without falling over on its back making it easier to connect with your hitch and preventing it from filling with water while not in use. In an effort to continuously improve as a company, we'd love to hear how you score us. OUR 5 PROMISE CHARTER TO DELIVERING EXCEPTIONAL CUSTOMER SERVICE. 1. We promise you can rely on what we say. 2. We promise industry leading warranty. 3. We promise knowledgeable, helpful staff. 4. We promise to reward loyalty. 5. We promise to hold our promises. If you don’t see your model listed contact us now!